Milind Soman made a New Year resolution and these Twitter crazy replies will leave you laughing! If you have been following Milind Soman, you know how much he loves running. However, recently, he challenged his fans to take up a 7-hour long marathon with him, every day! When 7 hours a day is a joke for you! Every married man will agree or will get there eventually! When dreams come to reality! Running is running, doesn’t matter where! 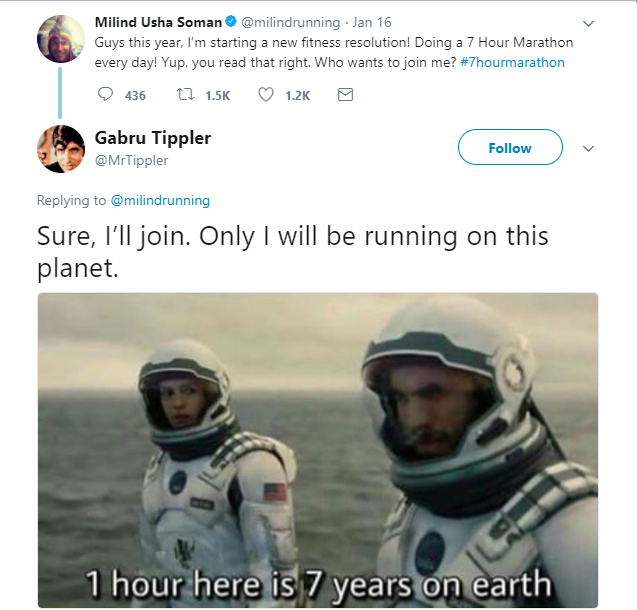 While everyone thought he was referring to a daily 7-hour marathon run, Milind Soman was just doing as planned for the Duroflex campaign. This digital stunt was initiated to bring light to the cycle of disrupted sleep that has taken over our generation. In no time, this campaign starting trending at No.5 on Twitter nationally. 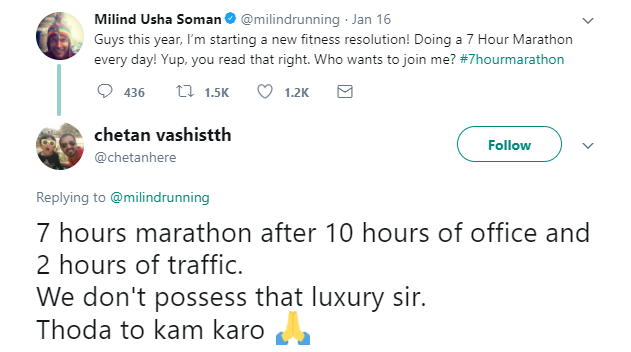 Seeing the response, a subsequent video was released a day later where Milind clarified the confusion on #7HourMarathon and discussed the importance of good sleeping habits.